To investigate your residential bridging loan including Lloyds call our team on 0117 313 6058 or fill in our call back form. We can provide bridging loan options and then provide mortgage solutions once the bridging loan is no longer required. Bridging loans are a form of short term finance that can be used by individuals, businesses, developers and property investors. 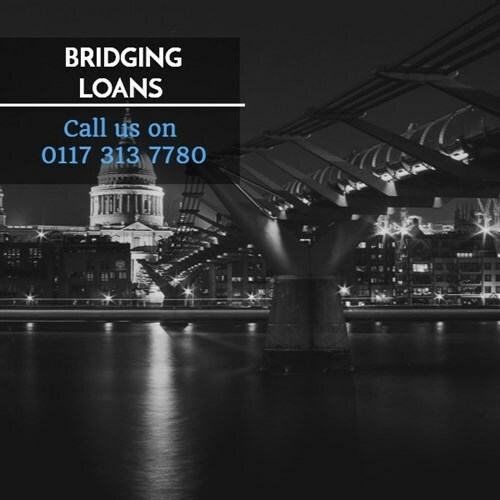 The method for obtaining a bridging loan is straightforward and really versatile with a more flexible set of criteria than is usually required by most high street banks and mortgage lenders. Like a mortgage, a bridging loan is secured against your property. Bridging finance is more expensive than long term lending and the rate you will be expected to pay will depend on a number of different factors. different bridge lenders will also have different charging structures so getting good advice is always recommended. Call our bridging loans team today on 0117 313 6058 or complete our callback request form. How do bridging loans work? Bridging loans are frequently utilised as an answer to a temporary cash flow problem. A common example of this type of situation is when a person wishes to buy a property but still needs to sell their existing home. A bridging loan can, in these circumstances, provide a solution by offering short-term funding. Bridging loans may be offered in amounts ranging from £25,000 to several million, depending on your circumstances and which lender you approach. Bridging Loans can be arranged quickly - in some cases in 5 to 7 days, however most deals take two to three weeks. the loan term can range from a day up to 12 months. What situations might require a bridging loan? Need to move fast? - Get a fast cash injection when you most need it during the property purchasing process. The ability to move quickly can make the difference on any property transaction. Development finance - If you are buying property to redevelop and you need finance to get your project off the ground. Bridging loans come in two varieties. The first is the closed bridging loan. This is exclusively available to people who have already exchanged o the sale of a specific property and need the finance to secure it. This type of bridging loan can be easier to come by as the lender will consider the sale unlikely to fall though at this point. The second type of bridging loan is known as an open bridging loan. This is aimed at people who have found a property they want to buy but have not yet sold their current home, and due to the increased chance of a sale not occurring, lenders are often more reluctant to offer open bridging loans. Your chances of acceptance will be increased if you have a lot of equity in your current property. A bridging loan can be used for almost any purpose and can be secured on many different types of property. In some cases you may be able to borrow up to 80% of the value of the property. However, due to their speed and convenience, bridging loans often charge high rates of interest, so it makes sense to research the market and consider all your funding options before applying. If you are unsure about what bridging loan is suitable for you call us on 0117 313 6058 or complete our request callback form. Call us for a FREE initial conversation on 0117 313 6058 about bridging loan options or request a callback.